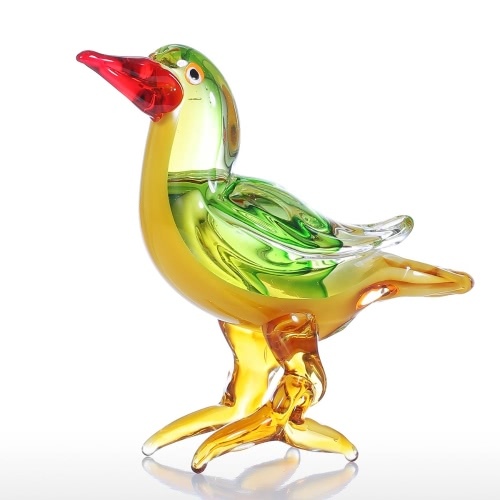 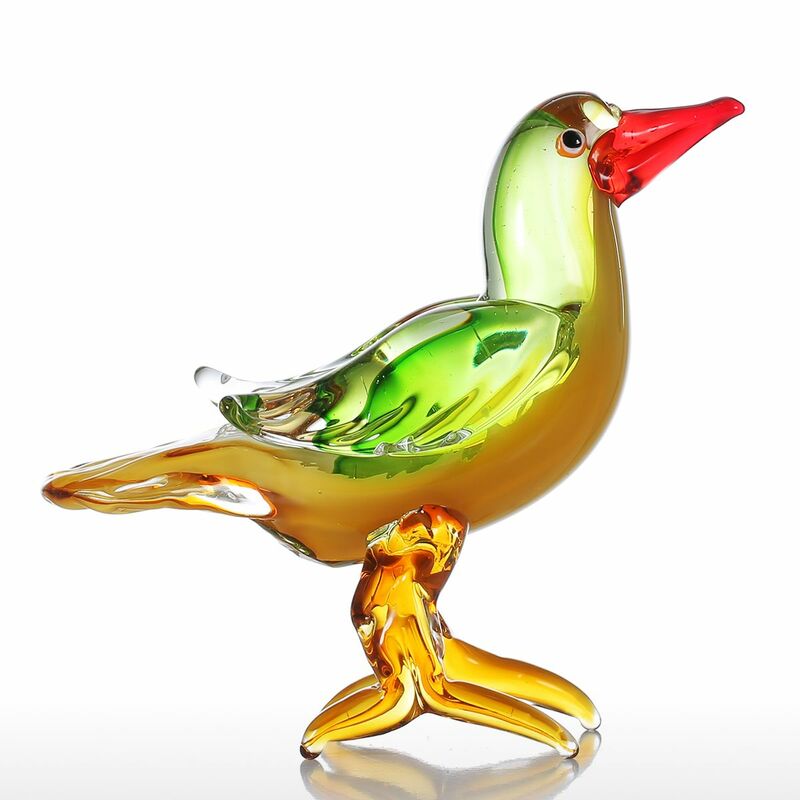 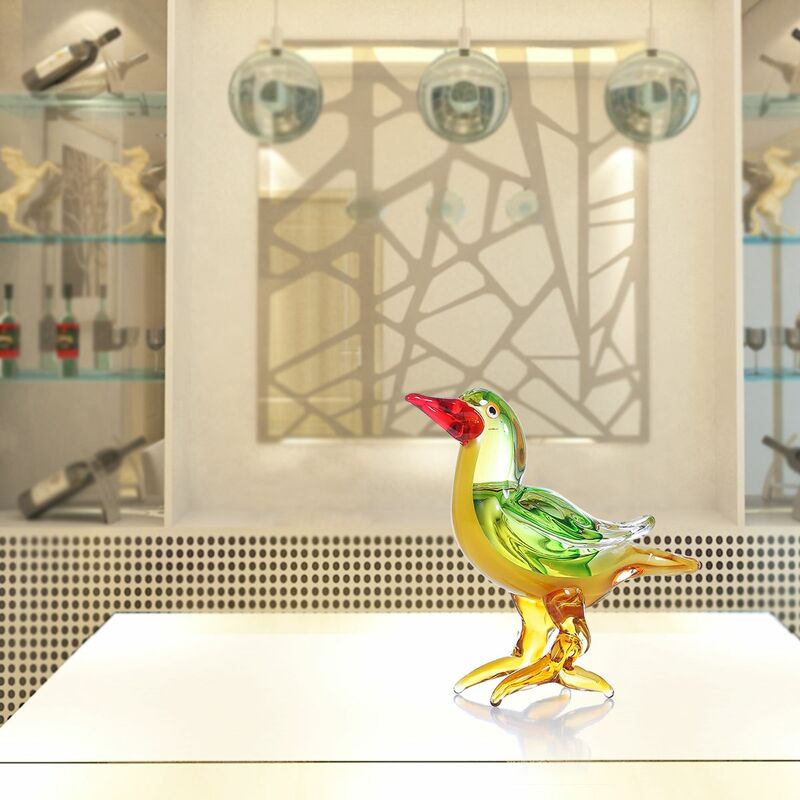 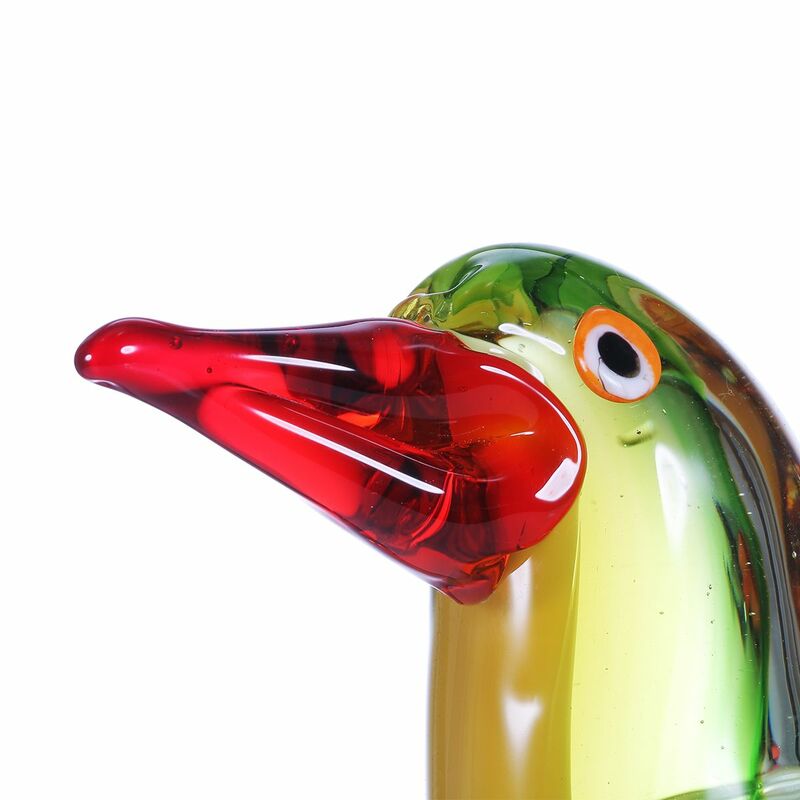 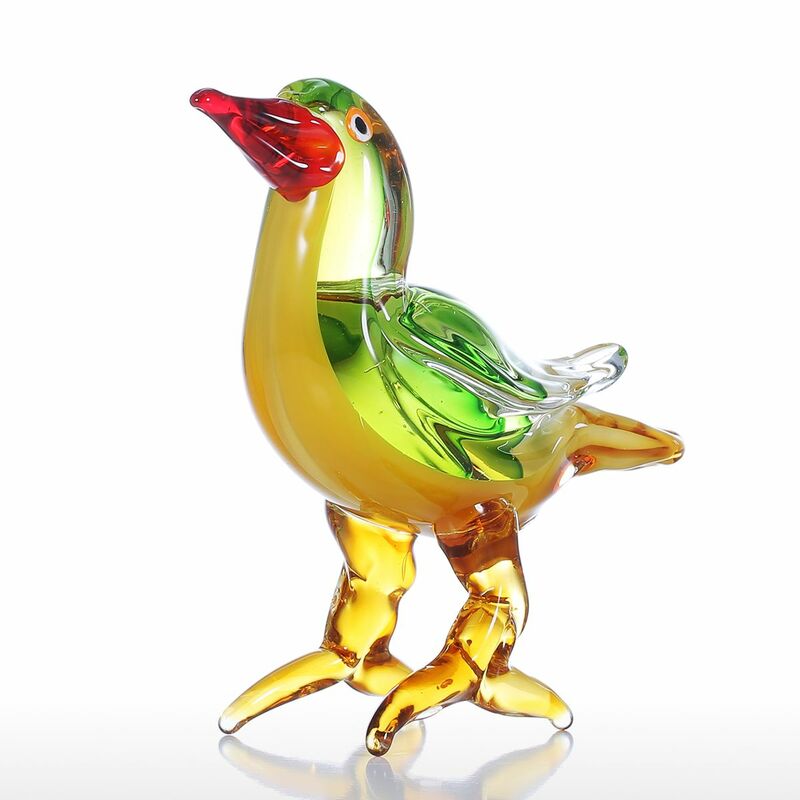 This lovely tiny bird glass is bright in color: red beak, green feather, streamline body... 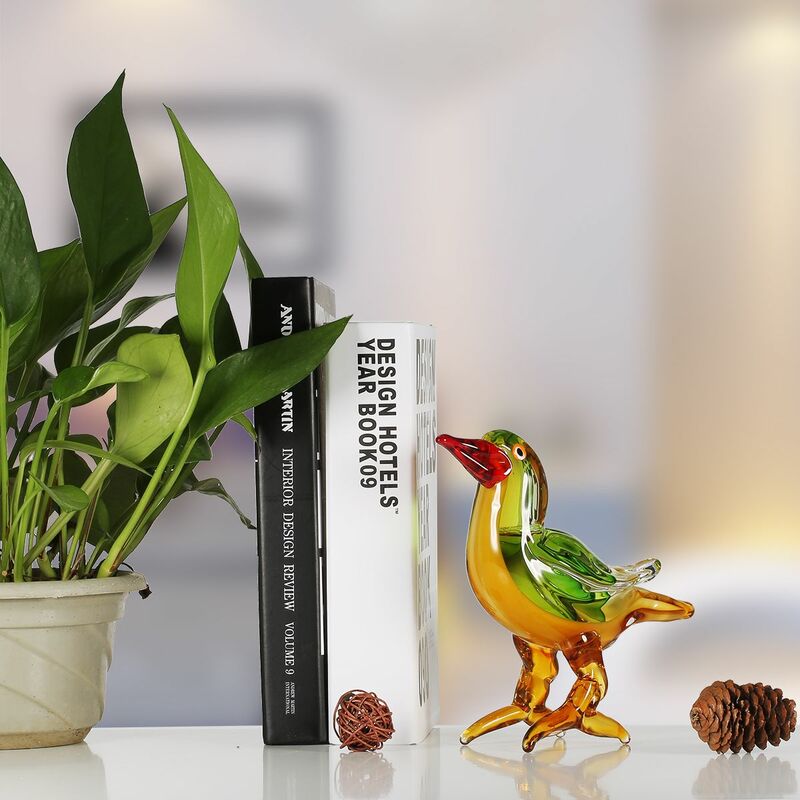 Overall it looks lively and adorable. 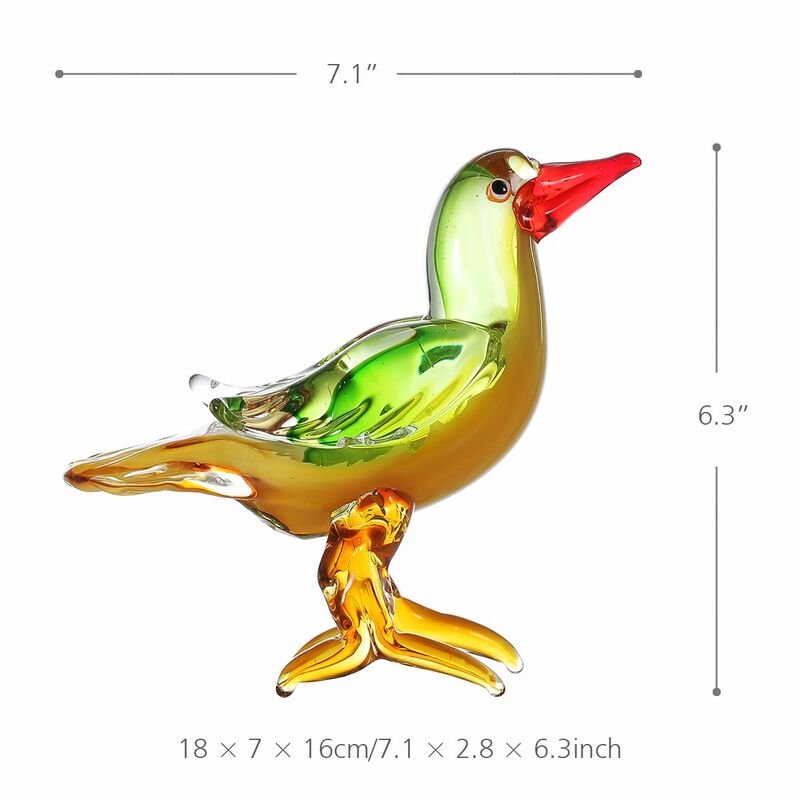 This naively cute glass chicken ornament is purely handmade by the professional craftsman, it has endured more than 1000°C temperature baking, modeling, coloring processes. 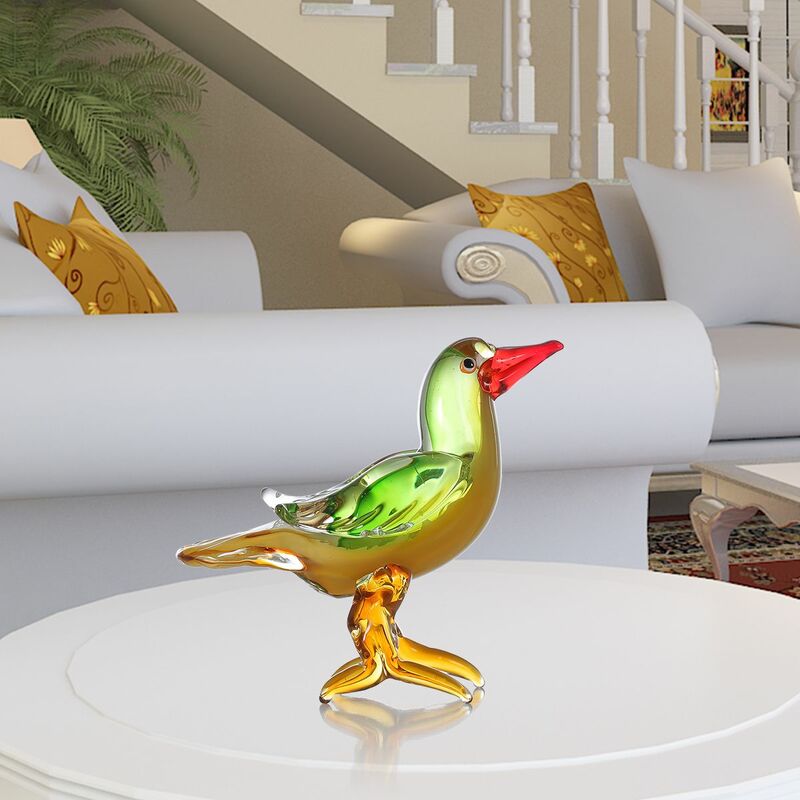 The style is concise and fashionable, the appearance crystal clear and never fades color. 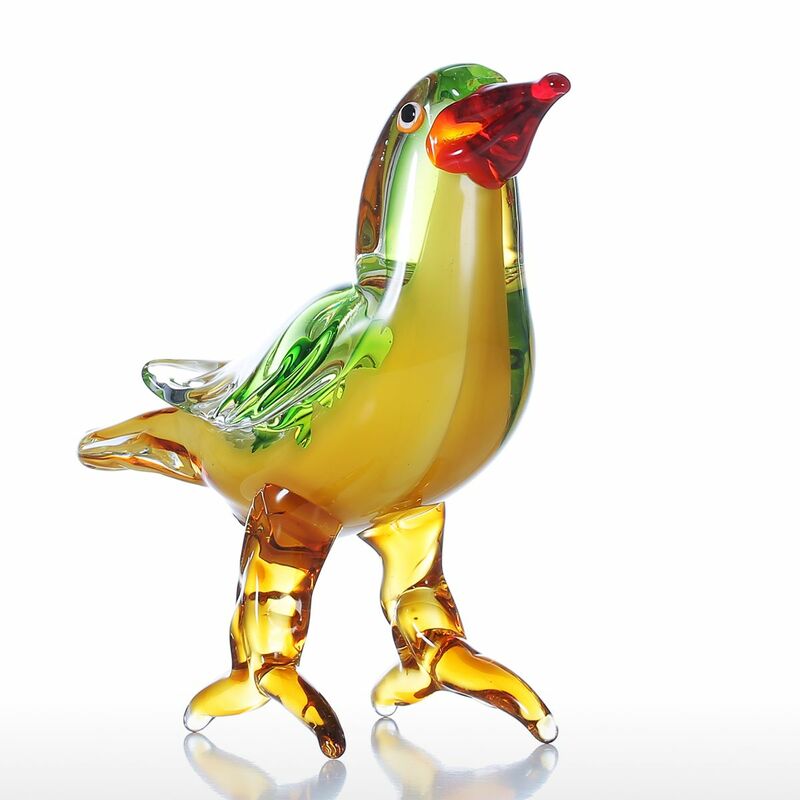 Very suitable for holding in hands and play.